A traditional film camera with an interchangeable lens was known as a single-lens reflex camera (one lens, with a mirror). The mirror provides the photographer with the image you see in the viewfinder. Traditional mirrors show the environment exactly as your eyes would see it. As technology progresses, we added digital sensors to these SLR cameras instead of shooting film, and called it the DSLR or digital single-lens reflex camera. Now were moving into a new era of cameras that are smaller and lighter, opting to remove the mirror in favor of an electronic viewfinder. These mirrorless cameras are known as a DSLM. SLR – a film camera with a single-lens reflex system, which consists of a mirror that provides the photographer with the image you see in the viewfinder. DSLR – a digital camera with a single-lens reflex system, which consists of a mirror that provides the photographer with the image you see in the viewfinder. DSLM – digital single-lens mirrorless, also known as mirrorless cameras. These cameras provide an electronic viewfinder, eliminating the mirror and displaying a digital image. Mirrorless cameras have also been called MILC, or Mirrorless Interchangeable-Lens Cameras. These cameras are still very new to the market and there hasn’t been a standard name set between manufacturers. For example, I’ve seen Panasonic use DSLM, Sony use Mirrorless, and Canon use MILC. Ever stumble across a photo term that youve never heard before? Share it in the comments below. Im considering making this a regular column here on Photofocus. For more useful photo terms, check out Mike Kubeisys C-47 article here. They’re also called EVIL cameras too. Not sure there’s a need for another acronym. Not sure this is the definitive term. In fact, I haven’t come across it before. Marketing will like DSLM! 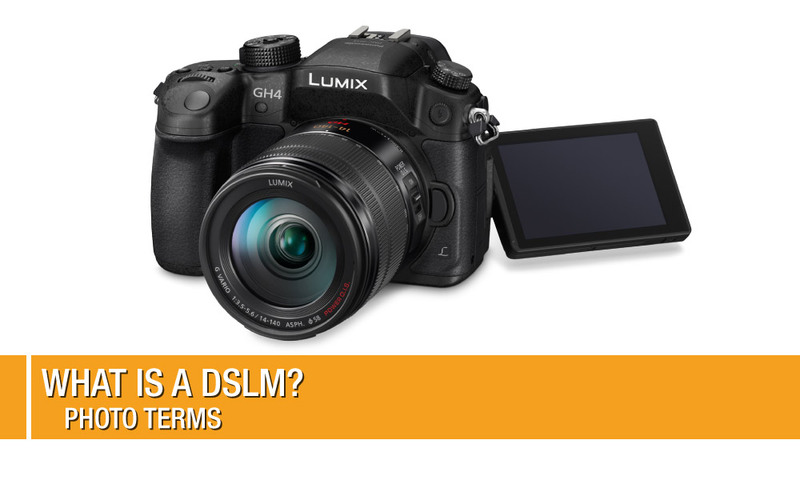 Now that a proper derivative acronym has been defined, it leverages off of DSLM sales will take off. PHD Camera. Press here dummy. So why the “Single” in DSLR and DSLM? Because there used to be TLRs — twin lens reflex — one lens for viewfinder and one for the film.